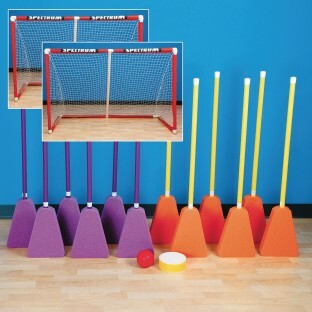 Floor hockey, played with brooms! Floor hockey, played with brooms! In this case, kids use our super safe foam broom heads! A fast and fun sport that kids will love. 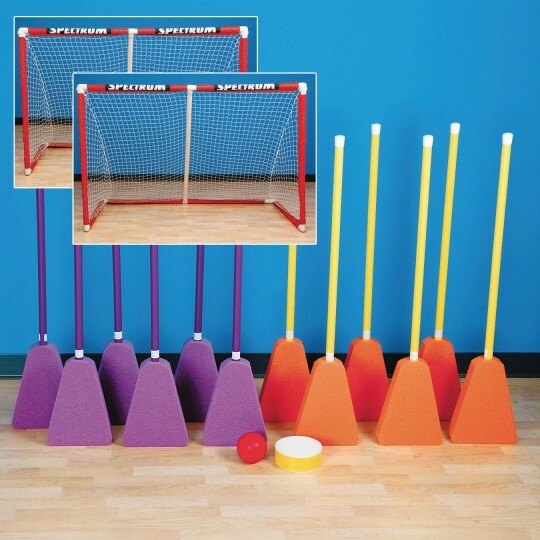 Each includes a Broomball Set (6 each or orange and purple brooms), 4" foam ball, 6" foam puck and two Spectrum™ All-Purpose Goals. The 36" pack - recommended for kids in grades 3 and under - includes 54"W x 46"H goals.